This week I was contacted by Georgina Criddle who is a visual artist currently presenting a twelve-week long site-specific exhibition and newsletter at West Space, located on level 1 of the old Commonwealth Bank building, 219-225 Bourke St Melbourne. The project aims to draw together various aspects of the building’s history – see here for the newsletter aspect of the project: before-too-long.com. 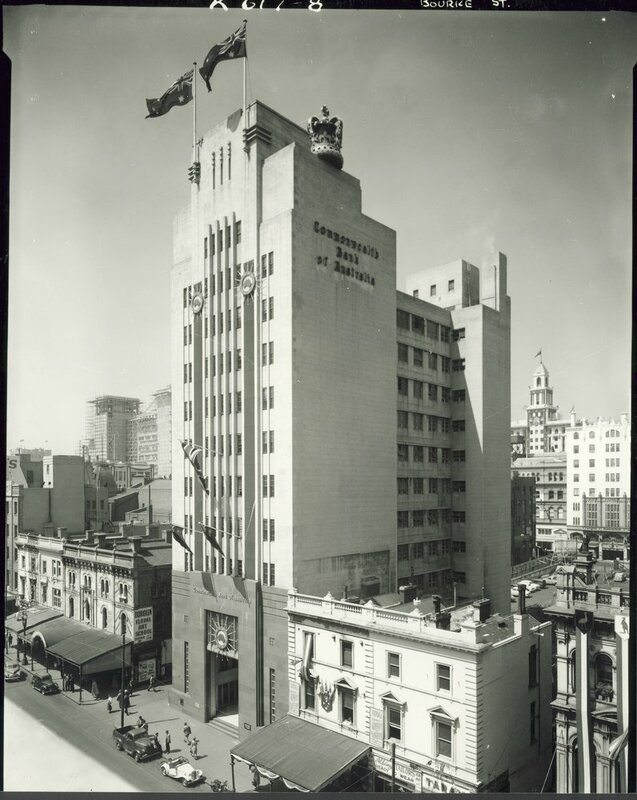 This building was heritage listed thanks to the work of the Art Deco & Modernism Society and extensive research undertaken by Simon Reeve, a noted Victorian heritage architect. Is this one of Henderson’s buildings? Most of the subsequent working documentation for the project was prepared by the Works & Services Branch (Victoria) of the Department of the Interior under its new Works Director, H M Rolland, who was appointed to the position in July 1939. Born in Geelong, Henry Maitland Rolland (1882-1972) began his architectural career as an articled pupil of Campbell & Kernot and, in 1900, joined the Public Works Department as a draftsman. He later transferred to the Department of Home Affairs and, in 1912, was appointed supervising architect to the newly-formed Federal Capital Territory, which involved working with Walter Burley Griffin on the implementation of the latter’s prize-winning Canberra plan. 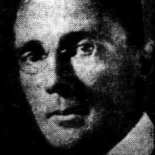 Rolland subsequently held the senior position of Works Director in the Department of Works & Railways (which replaced the Department of Home Affairs in 1923) and the Works & Services Branch (South Australia) before taking the equivalent role in Victoria in 1939. In May 1939, a perspective drawing of the building was published in the Argus; it was noted that “a modern vertical treatment has been adopted for the facade, which will be faced with granite up to the second floor with sandstone beyond”. On the website, “Walking in Melbourne” there is an extensive piece responding to a query from Robin Grow about whether or not Henderson was the architect: http://www.walkingmelbourne.com/forum/viewtopic.php?f=3&t=6756&start=6. Following research in the archives of the Commonwealth Bank and the National Archives, the writer concludes that Henderson was the architect. The design work was lead by the Canberra office. 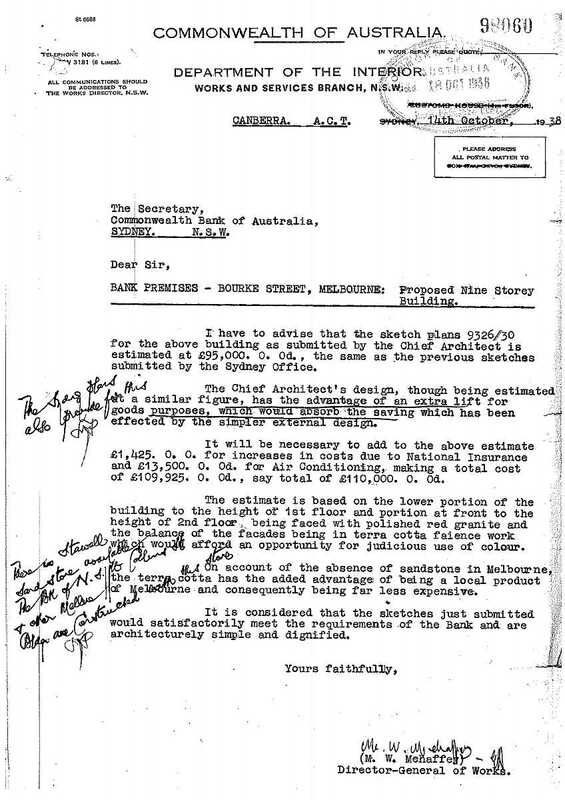 In particular, a letter dated 14 October 1938 from M. W. Mehaffrey, the Director-General of Works Department of the Interior in Canberra to The Secretary of the Commonwealth Bank in Sydney refers to “the Chief Architect’s design” costing £110,000 to build. To me, it makes sense that Henderson, as Chief Architect, would have led the design of this building, even if most of the more detailed work would have been done by other officers of the Department (including James Orwin). Given his extensive involvement in bank architecture and the scale of this commission (one of the largest bank buildings completed in the 1930s and 1940s), it would have been unusual for Henderson not to have been involved. Certainly the design was completed before his death as an artist’s impression in the Argus in May 1939 shows (see below). Very happy to consider other views. This entry was posted on September 5, 2015 by midcenturymatters in His Banks, Works.